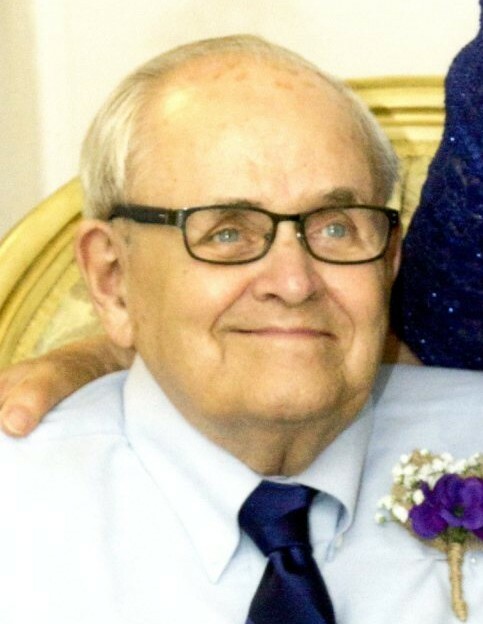 A funeral service celebrating the life of Roy O. Wellington, Jr., 88, of Granville, will be held Thursday, January 17, 2019 at 10:00 A.M. at Centenary United Methodist Church, 102 E. Broadway, in Granville with Rev. Casey Wilson as celebrant. Burial will follow to Maple Grove Cemetery with military honors rendered by the Licking County Veterans Alliance and U.S. Coast Guard Auxiliary. Mr. Wellington passed away peacefully at his home Sunday, January 13, 2019 surrounded by his family. He was born in Flint, Michigan to the late Margurita and Roy O. Wellington, Sr.
A proud veteran, Roy served in the U.S. Navy during the Korean War as radio and radar technician aboard the USS Manchester CL-83. Roy graduated with a BS degree in Electrical Engineering from Michigan State University in 1958 on the GI Bill. He worked on missiles at Chrysler before coming to the Newark Air Force Base where he retired as Branch Chief of the Microwave Standards Lab, Metrology Dept. He was grateful to Honor Flight for sending him to Washington, D. C. in 2016. An avid sailor, his love for water and boating continued a lifetime. Over nine months, Roy and wife Vickey sailed “Seascape” from Lake Erie through the Straits of Mackinac, down the inland rivers to Mobile, around the Keys and Dry Tortugas NP, up the Intracoastal Waterway, the Hudson River and Erie Canal back to Sandusky. He made seven trips to the North Channel, toured all of the Great Lakes, the canals in Canada, and was on the front line of Tall Ships in New York and Boston in 2000. He owned Seascape for 19 years and travelled over 30,000 nautical miles. He was considered an expert in nautical knots and navigation. He was an AUXOP member of the Coast Guard Auxiliary with over thirty years of service in rescue and patrol, navigation instruction, vessel safety examination, and served as Treasurer for both the Flotilla and Division. 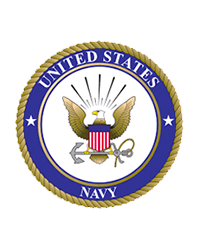 The U.S. Coast Guard recognized his years of volunteer service with the Coast Guard Auxiliary Achievement Medal. Roy was a member of Centenary United Methodist Church, the Hoover Yacht Club, Aerospace Lodge #800 F. & A.M., and the Order of the Eastern Star. He was Scoutmaster for Troop 34, Boy Scouts of America, in Granville where many became Eagle Scouts including his three sons. He was recognized with the Order of Merit from the Licking County Council. An animal lover with a mind for science, Roy also enjoyed woodworking, camping, playing Bridge and Cribbage, and of course, more sailing. He will be remembered as a family man who was dedicated to sharing his gifts with his children, grandchildren and young people. Surviving are his wife of 62 years, Victoria Wellington; children Roy (Theo) Wellington III, Michael (Myeong) Wellington, Dianne (David) Laudenschalger, Clifford (Wendy) Wellington, and Debbie (Terry) Link; grandchildren, Roy IV, Danika, Nathan, and Parker Wellington; Laura and Patrick Wellington; Chantel (Chad) Boruff, and Chris Laudenschalger; Carl and Brittany Wellington; and Tyler and Joshua (Ashley) Link; great grandchildren Berkeley and Zaidyn and twins on the way; brother Richard (Joy) Wellington; sister Karen (Richard) Bennett; numerous nieces and nephews; and faithful canine companion, “Scooter”. In addition to his parents, he is preceded in death by his brother, Larry Wellington. Visitation will be Wednesday, January 16, from 4:30 to 8:00 P.M. at Centenary UMC with a Masonic Service at 5:00 P.M. and an O.E.S. service near the conclusion of visitation at 7:30 P.M.
Memorial contributions may be made to Centenary United Methodist Church, 102 E. Broadway, Granville, OH 43023; or to Boy Scout Troop #65, P.O. Box 265, Granville, OH 43023; or to Honor Flight, 175 South Tuttle Road, Springfield, OH 45505.